emka MEDICAL is developing monitoring systems for physiological parameters. Our goal is to provide clinicians with the information that is needed to provide their patients with the best treatment. Our core expertise is pressure measurement for healthcare applications. We have developed a new pressure sensing technology which can be used for continous wireless short and long term monitoring of invasive blood pressures. We are certified to ISO 13485:2016. At emka MEDICAL, the quality management system is strongly bonded to all areas of activity. We can supply QM services to customers, including help in setting up your own quality management system. Our team has a collective experience of over 80 years in the fields of development, regulatory and sales of medical devices. The compact size of our experienced team gives us the agility to swiftly react to customer wishes and regulatory changes. emka MEDICAL is a technology company that develops monitoring systems for healthcare applications. We focus on invasive hemodynamic monitoring with the first application for heart failure management. Heart failure (HF) is a common cardiovascular disease where the heart is not able to pump sufficiently to maintain normal blood flow. Globally there are roughly 38 million heart failure patients, in Germany alone there are around 1.6 million. HF contributes to around 1 to 2 % of overall healthcare costs. The big part of the costs are due to high readmission rates of HF patients. After a hospital admission, 25% of HF patients are readmitted after 30 days. There is a major unmet medical need to reduce HF hospitalizations. Our disruptive hemodynamic monitoring technology aims to solve this problem. The Cor/log product family will enable wireless mobile patient monitoring and early stage detection of changes in the health status of the HF patient. Our first milestone on this path is to develop a short term right heart pressure monitoring probe which is called Cor/log Probe 1P and can be used up to 30 days inside the hospital. 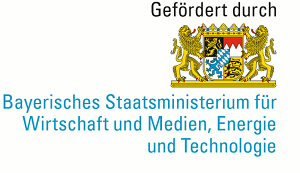 The development of Cor/log Probe 1P is co-funded by the Bavarian Ministry of Economic Affairs and Media, Energy and Technology. Cor/log Probe 1P will be released in the European market at the beginning 2019.